The Bessemer & Lake Erie Railroad ran 153 miles from Lake Erie to North Bessemer, PA near Pittsburgh, PA. From early spring until the first freeze the B&LE hauled iron ore from the lake boats to the steel mills and carried Pennsylvania coal back to the lakefront. When tonnage increased, new power was needed. 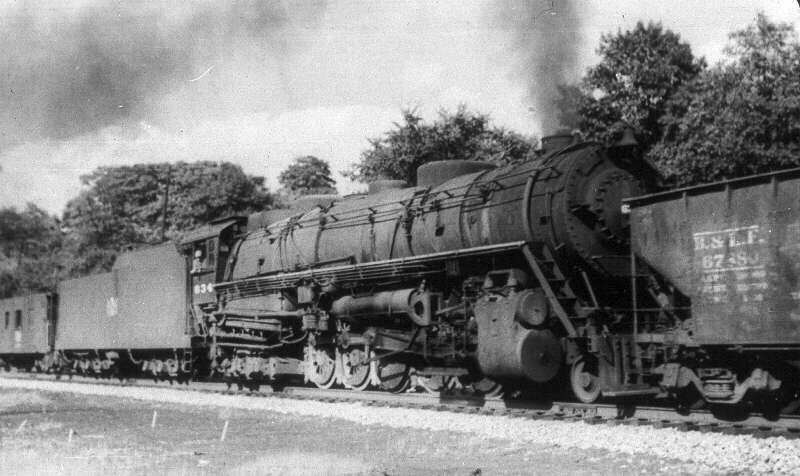 In 1929, the B&LE bought a single 2-10-4 from the Baldwin Locomotive Works to give the "Texas" type a try. 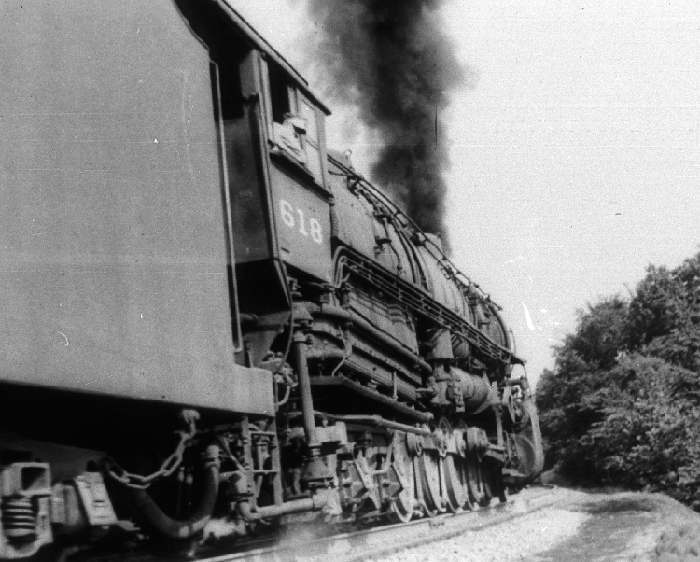 This 502,630-pound locomotive was designated as Class H-1a and assigned road number 601. In 1930, nine more were received from Baldwin. These locomotives were designated as Class H-1b and were very similar to number 601 and were given road numbers 602-610. Ten more, these designated as Class H-1c 2-10-4s with road numbers 611 through 620, arrived from Baldwin in 1936, and another ten, designated as Class H-1d with road numbers 621 through 630, came from the American Locomotive Company in 1937. The H-1c locomotives weighed 519,840 pounds and the H-1ds weighed 520,000 pounds. The 1940s saw seventeen more "Texas" types added to the B&LE roster. They were acquired in three orders. Five, designated as Class H-1e with road numbers 631 through 635, arrived in 1941, two, designated as Class H1-f with road numbers 636 & 637, in 1942 and ten, designated as Class H-1g with road numbers 638 through 647, came in 1943 and 1944. The H-1e locomotives weighed 519,740 pounds, the H-1fs weighed 524,382 pounds and the Class H-1gs weighed 523,600 pounds. 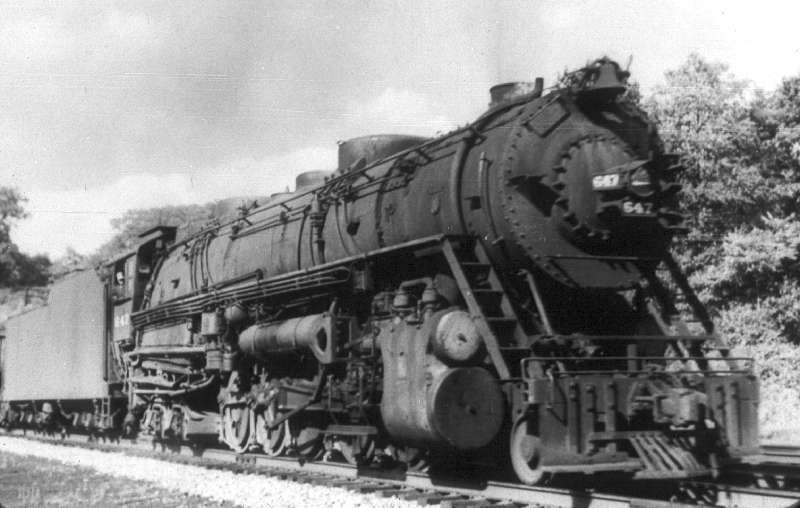 The entire B&LE fleet of forty-seven "Texas" type locomotives was built to the same basic specifications which included 64" diameter drivers, 31" x 32" cylinders, a boiler pressure of 250 psi and were rated with a tractive effort of 96,700 pounds. These locomotives were equipped with a trailing truck booster, which added 13,100 pounds of tractive effort making the total tractive effort 109,800 pounds. The firebox was of radial stay construction. The combustion chamber extended 49.5" into the barrel of the boiler. There were three thermic siphons, two in the firebox and one in the combustion chamber. The evaporative heating surface was 5,912 square feet and the superheater added 2,368 square feet. The boiler evaporative capacity was 84,300 pounds per hour (nearly 10,500 gallons per hour). At 250 psi and 250 degrees of superheat, boiler horse power was 4,690 HP. The piston valves measured 15" in diameter. 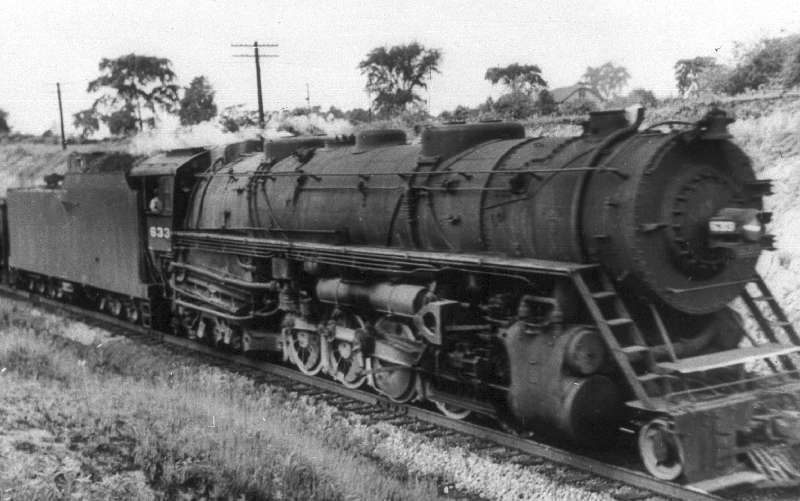 The B&LE sold eighteen "Texas" type locomotives to the DM&IR in 1951. They were used by the DM&IR until 1961. 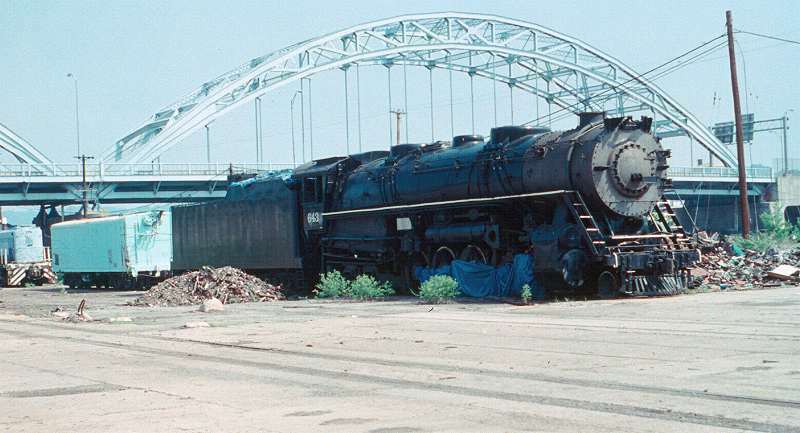 There is one surviving B&LE "Texas" type locomotive, number 643. It was previously stored west of the P&LE shops in Mc Kees Rocks, PA and is now at AGF warehouse, "bottoms" section of Mc Kees Rocks, PA. 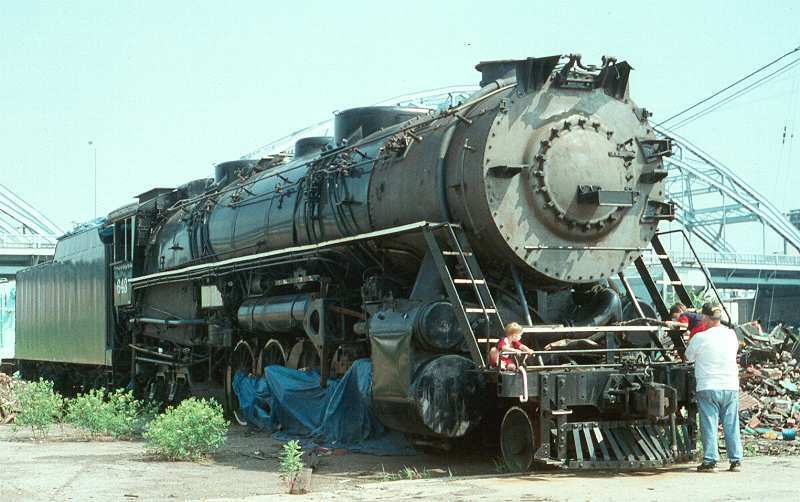 Number 601 scrapped in 1953. Numbers 602-610 scrapped as follows: 604, 605 & 608 in 1952, 602, 606, 607 & 609 in 1953 and 603 & 610 in 1954. Numbers 611-620 scrapped as follows: 614, 617, 618 & 619 in 1952, 612, 613, 615, 616, & 620 in 1953 and 611 in 1954. Numbers 621-630 sold to the DM&IR in 1951. Numbers 631 and 635 sold to the DM&IR in 1951. All the others scrapped as follows: 634 in 1952 and 632 & 633 in 1954. Number 637 sold to the DM&IR in 1951. Number 636 scrapped in 1954. 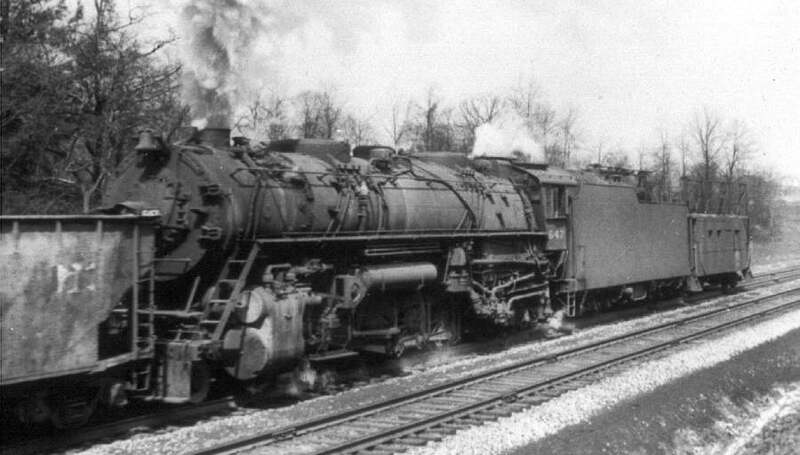 Numbers 638 and 641 sold to the DM&IR in 1951. Numbers 639 & 640 scrapped in 1953 and 642 scrapped in 1954. Numbers 645, 646 & 647 sold to the DM&IR in 1951. 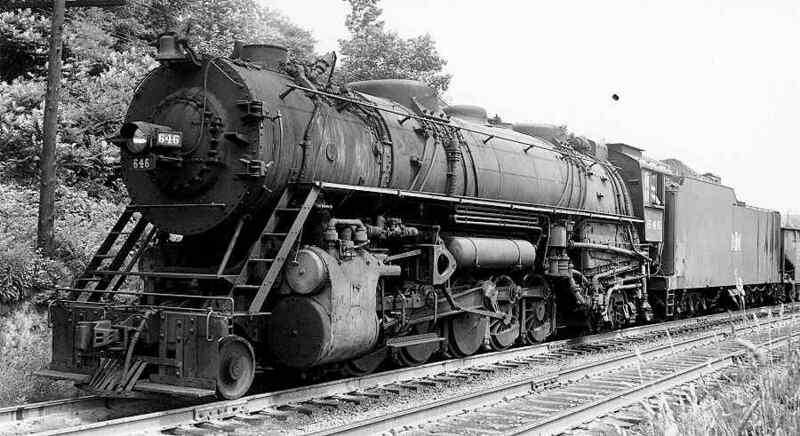 Number 644 scrapped in 1952. Number 643 is preserved in Mc Kees Rocks, PA.
Data from table and diagram in 1930 Locomotive Cyclopedia, supplemented by B&LE 1-1944 Locomotive Diagrams supplied in May 2005 by Allen Stanley from his extensive collection and DeGolyer, Volume 81, pp. 127+. See also Bert Pennypacker, "Tough Texans of the Bessemer," Classic Trains (Winter 2000), pp. 24-31; and "New Motive Power for the Bessemer and Lake Erie," Baldwin Magazine, Volume 15, No. 2 (October 1936), pp. 10-14. Alco works numbers were 68891-68900 in 1937. (Thanks to Chris Hohl for a 2017 email pointing out the slightly smaller tenders in the first few batches and for his 22 September 2017 email reporting unlikely boiler pressure values for 177 entries. A Locobase macro caused the error .) Baldwin works numbers were 60898 in July 1929; 61247-61248, 61265-61266, 61274-61278 in March 1930; 61912-61921 in June 1936, 64150-64154 in 1941, 64577-64578 in 1942, 64718-64722 in March 1943, 70057-70061 in 1944. 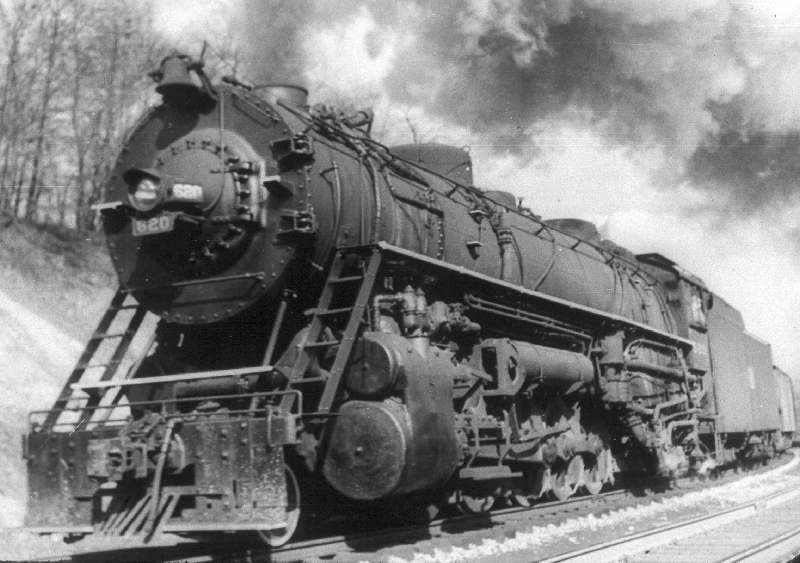 Built in several series from 1929 to 1944, these Texas engines built for this western Pennsylvania iron ore hauler were simply huge, powerful locomotives by any measure and were among the biggest and heaviest non-articulated engines ever built. Bert Pennypacker's opening paragraph conjures up a "frequent" sight in the 1940s:"100-car, 13,000-ton [iron] ore drags getting laboriously underway with three ponderous H1 class 2-10-4s" out of the Lake Erie port at Conneaut, Ohio. The grade began at 0.9% climb, then pitched up to 1% for much of the next 13 miles (21 km). The 1929 engine was a "proof of concept" duplicate of Burlington M-4 engines supplied by Baldwin in 1924 (Locobase 96), "except where otherwise specified." It had 87 small tubes, not the 78 Bessemer later showed in its 1933 diagrams. Ink annotations showing a reduction in heating surface area suggest that the B&LE deleted nine of the tubes soon after they were delivered. Once production started on the H1Bs, the weights and other dimensions didn't vary by all that much among the batches. Boiler evaporative capacity was 84,300 lb (38,238 kg) per hour. At 250 psi and 250 degrees of superheat, boiler hp was over 4,600. The B&LE's 152-lb/yard (76 kg/metre) rail permitted the very high axle loadings that ranged from 72,100 lb (32,704 kg) in the 1930 H1B engines to 75,984 lb (34,466 kg)) in the H1F and H1Gs delivered in World War II. All had a General Steel Castings one-piece cast-steel bar underframe bolted to a Commonwealth cradle casting fitted inside the Delta rear truck's wheels. Firebox heating surface area included 123 sq ft (11.4 sq m) in three thermic siphons (two in the firebox, one in the combustion chamber), 30 sq ft (2.79 sq m) in three arch tubes, and a combustion chamber contributing 107 sq ft (9.94 sq m). All of the engines used Elesco non-lifting exhaust steam injectors with an 8,000 US gallon/hr (31,000 litre) capacity except for the first five 1936 engines (611-615), which were fitted with Worthington 5S feed water heaters. Filled to 2 gauges of water, the boiler held 5,890 gallons (22,294 litres) weighing 41,937 lb (19,022 kg); sand box capacity totalled 6,736 lb (3,055 kg). Piston valves measured 15"" in diameter featured a long steam lap of 2 1/4" (57 mm) and enjoyed the long travel of 8 +" (222 mm) forward, 7 5/16" (186 mm) back in the first batch. A "Hereafter" question raised in the Baldwin specs (supp 239) suggested seeking equal valve travel forward and backward. Apparently, the answer was nearly "Yes" as later backward travel was 7 7/8" to 7 15/16" . Maximum cutoff was 68.75%. The first tenders carried 22,000 US gallons (83,270 litres) of water and 23 tons (20.9 tonnes) of coal; they weighed 377,600 lb (171,277 kg) loaded. Later tenders carried 1,000 gallons (3,785 litres) more and three more tons of coal. Eighteen of these were sold in 1951 to the Duluth, Missabe & Iron Range as E-4s with road numbers 700-717. The sale included all ten of the Alco H1Ds (621-630), Baldwin H1Es 631 and 635, H1F 637, and H1Gs 638, 641, 645-647. The DM&IR operated the class for another ten years before retiring them in 1961. The last revenue runs for the H1s occurred in 1952 and all the remaining engines but one were scrapped in 1951-1954. Glen Campbell bought the 643 and stored it. 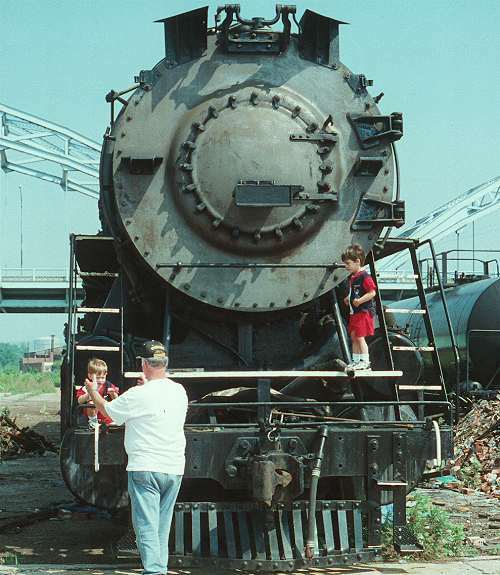 Decades later, a western Pennsylvania group explored the possibility of overhauling it.